Open your Energy Centers to the Healing Powers of the Universe. 1 hour Healing Touch Session/$55. Long-distance healing touch is also effective / $55 for 1-hour session. Healing touch is derived from the ancient "Laying On Of Hands." · Relieve tension and stress in the body. · Clear the mind and soothe the spirit. · Relieve both physical and emotional pain. · Clear the energy field of obstructions thereby facilitating healing. 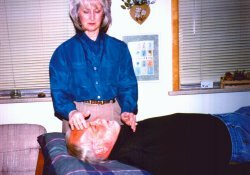 · Restores balance and harmony to the human energy system. ·1 or more Chelation treatments clear and balance 4 levels of the energy field. ·Clearing resistant trauma and debris out of the energy field. ·Focusing on a specific issue for resolve, balance and emotional cleansing. Please call or email Dhyana to set an appointment: 720-234-3770 / dhyana@theopenrose.com.